This entry was posted in Travel Photos and tagged 50 Year Project, Atlantic Ocean, Blog, Blogging, Boats, Boston, Boston Harbor, Massachusetts, Photography, Travel, Travel Blog, Travel Journal, Travel Photo. Bookmark the permalink. Oh I’m learning so many different spellings here. I should keep a journal. 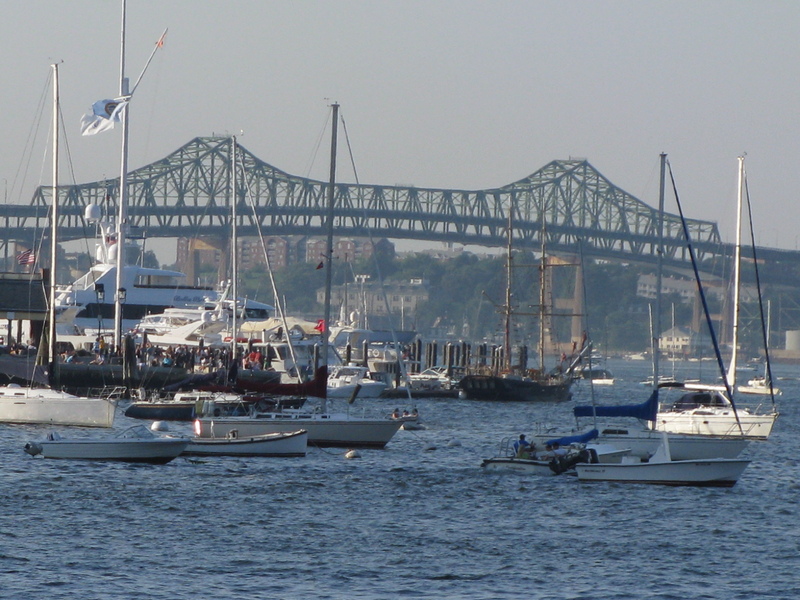 Beautiful shot of the busy harbor and bridge!